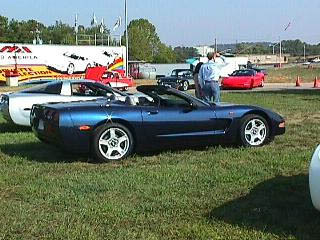 During the 1998 production run, Chevrolet painted 14 C5 Corvettes The new 1999 model year color, "Navy Blue" [RPO 28U] . These special 14 C5's were part of the "New Product Testing" to guarantee everything was in order for the start of 1999 full production. . Before the "official" introduction of the new color, several of the 1998 model "Navy Blue" C5's were seen in testing. The fourteen C5's listed below are the only 1998 C5 Corvettes painted "Navy Blue" at the plant. All the 1998 "Navy Blue" C5's were started down the line on Thursday May 28, 1998 and completed on Friday May 29, 1998. As with the Collector's Gold C5's these will also be a "Blue Diamond" For the Collectors of limited production Corvettes!